The server may be busy, or the network may be slow. We don't want to sit around doing nothing until the response arrives, and because we've assigned the callback function, we don't have to. That's the five-minute guide for the impatient. For those who like to know the details, we've listed the fuller details of the XHR object below. To make use of the XHR to its fullest, we recommend you become familiar with the workings of the HTTP protocol. Using Ajax, you have much more control over HTTP than with classic web app development. HTTP is a stateless request-response protocol. Both request and response contain headers and an optional body, which is free text. Only a POST request contains a body. A request defines a verb or method. 99% of the time, you'll only need GET and POST. Many other verbs are used by WebDAV, Subversion over HTTP, and other niche applications, but not all web servers will understand them. GET Strictly speaking, should be used only to fetch data, not to effect changes on the server. GET requests contain no body. Parameters are passed in the querystring of the URL. POST Should be used to update data on the server. Parameters/data passed in the body. HEAD Will fetch the headers of the response only, not the body. Useful for finding out how large a resource is (read the Content-length header) or how old it is (read the Last-modified header), for example. PUT Create Add a new object instance to the domain model. GET Read Get an existing domain object from the server. POST Update Modify an existing domain object. DELETE Delete Remove an existing object from the domain model. Setting the right mime type for your request and response is good manners it's also vital to get the app to behave correctly! application/x-www-form-urlencoded Body is an encoded querystring of key-value pairs Sending request from HTML form or Ajax. Required in order for server to decode parameters into $_GET, servlet parameters, or HttpRequest.Form. text/xml, application/xml Body is an XML document Can be used anywhere ' request or response. Must set response to one of these in order to use XHR.responseXML property. text/html, text/xhtml Body is (X)HTML content Standard web pages sent from server, or content fragments sent to Ajax apps. image/png, image/jpeg, image/gif Body is a binary image Images sent by server. Always set async to true when calling open(). Synchronous Ajax requests block the browser UI, giving the stop-start behaviour we were trying to get away from in the first place! We've assigned a callback handler function to our XHR object. This function will get called several times as the response comes in. Typically, we only want to parse the response once it has fully arrived, i.e. the readyState is complete. So, what might the parseResponse() method look like? We have a lot of freedom in the types of response we send. Let's look at some of the common ones. The server can send pre-assembled HTML content, which we just stitch into the web page. manager wants - and they want it yesterday! XML is a more natural fit for most server technologies. XHR supports XML by giving us the responseXML property, but parsing this using the DOM is hard work. Some browsers also support XPath as a more pleasant way to parse XML. Sarissa and mozXPath.js both provide cross-browser XPath support. Another approach to Ajax is to generate scripts on the server, and send them to the client to be evaluated. Care should be taken here to define a suitably high-level API on the client against which the generated script is to run, otherwise tight coupling between server and client code can result. Does Ajax only affect the client-side? Certainly not! Particularly if your server is responding with data rather than HTML fragments, you'll want to refactor to some extent. To add small Ajax features to an existing app, stick with the thin client approach. Thick client is for complex, line-of-business app replacements. Your client-side code is visible, and runs on somebody else's machine. Don't expose details of your business tier. Keep it coarse-grained. Some functionality MUST be kept on the server, such as data validation. Simple, fast validation on the client is an addition, not a replacement! Treat your client-side code well. Use the patterns and practises that you would use on the server to keep your code clean and maintainable. Most projects have a legacy system behind them. 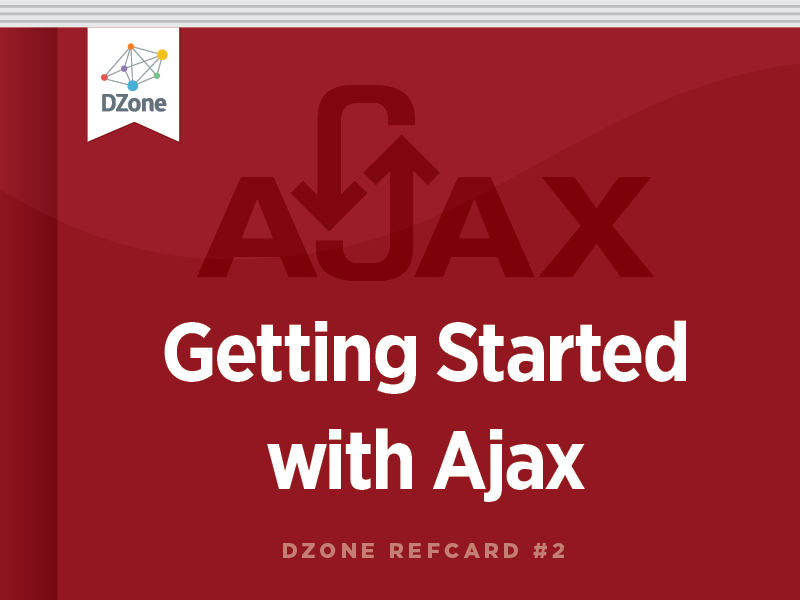 How can you introduce Ajax with minimal disruption? Does it speak XML, or generate HTML from components? Can you re-use that? However, it's a jungle out there, with many different types of toolkits on the market. Let's divide them into broad families. Scriptaculous (http://script.aculo.us) Client High Special effects, drag and drop, and widgets built on top of prototype. dojo (http://dojotoolkit.org) Client Low-high Comprehensive set of libraries covering everything from packaging & language features through Ajax to UI widgets. Yahoo User Interface (YUI) (http://developer.yahoo.com/yui/) Client Low-high Another comprehensive set of libraries covering many aspects of Ajax development. Ext (http://extjs.com) Client High Widget-based set of user interface components with Ajax support. sarissa (http://sarissa.sf.net) Client Low Rich library for working with XML, providing cross-browser XPath and XSLT. Mochikit (http://mochikit.com) Client Low-high General-purpose Ajax and DHTML library, inspired by Python. jQuery (http://jquery.com) Client Low Small, concise Ajax and DOM helper library. MooTools (http://mootools.net) Client Low-high Modular library covering everything from core classes to special effects. A promising newcomer. Ruby on Rails (http://www.rubyonrails.org) Server Low-high Primarily a server-side toolkit, but has first-rate support for Ajax, using Prototype and Scriptaculous. Allows large parts of the client tier to be written on the server, in Ruby. GWT (http://code.google.com/webtoolkit) Client High Java framework that allows Ajax client tier to be written in Java. We haven't time to show you how to make Ajax calls with all of these toolkits, but let's pick two of the most popular: Prototype and jQuery. Functions are first-class objects, and can be passed as arguments into other functions (see the numerous callback functions earlier). Before Ajax, the UI was nearly always delivered as declarative HTML, and the Document Object Model, or DOM, was only used in moderation. With Ajax'especially single-page applications' the DOM can play a much bigger role. The id attribute is often too specific'adding one to each element we may need to locate becomes tedious, and clutters the markup. Tag names, on the other hand, are not specific enough to be useful in many cases. The most common solution is to use CSS classes to locate elements. We can make these as specific or general as we need. $("widget") selects element with id="widget"
$() string (selector rule) jQuery object wrapping array of elements although only one method is listed here, jQuery is exceptionally powerful in this regard. The selector rules encompass CSS3, xpath (optional) and a range of custom selectors too! DOM elements can be assigned to multiple CSS classes. When finding elements using a selector mechanism, you may use the same CSS classes that determine the look of your page, or you may assign separate marker classes, i.e. CSS classes that have no visual effect on the page. Again, the DOM standard gives us a basic set of tools to work with, and browser vendors have effectively standardized a few more. document. createElement() string (tag name) DOM Element create new content slowly and painfully! document. createTextNode() string (content of node) DOM text node create new content slowly and painfully! Prototype favors the use of innerHTML to modify the DOM. It enhances this with the Insertion namespace, and, more recently, an insert method on the DOM element class itself. Insertion.After DOM element, string (HTML content) version 1.5: Object that inserts HTML content into element alongside existing content. Prototype provides no support for building DOM elements programmatically, but the Scriptaculous library adds a DOMBuilder object to the mix. jQuery is based around selecting sets of DOM elements, and it provides methods for manipulating sets of DOM elements in bulk. (These can be used on sets of one element too!) The methods here all operate on a set of DOM nodes returned from a selector. In an ideal world, choosing the right framework makes development a breeze, but in practice, you'll need to go under the hood from time to time to figure out what's going on. We recommend the following tools to keep your Ajax development on track. FireBug FF www.getfirebug.com Swiss army knife for developers, incorporating DOM & CSS inspector, interactive debugger, network monitor and profiler. Web Developers Toolkit IE searchmicrosoft.com Closest thing to Firebug for IE, minus the debugger. Fiddler IE/any www.fiddlertool.com Powerful network monitor with programmable interface for modifying requests in many ways. Tight integration with IE, but can work with any browser. LiveHTTP Headers FF livehttpheaders.mozdev.org Network monitor extension for Firefox. YSlow FF developer.yahoo.com/yslow Comprehensive performance analysis for web pages, runs as a plugin to Firebug! $(\"widget\") selects element with id=\"widget\"